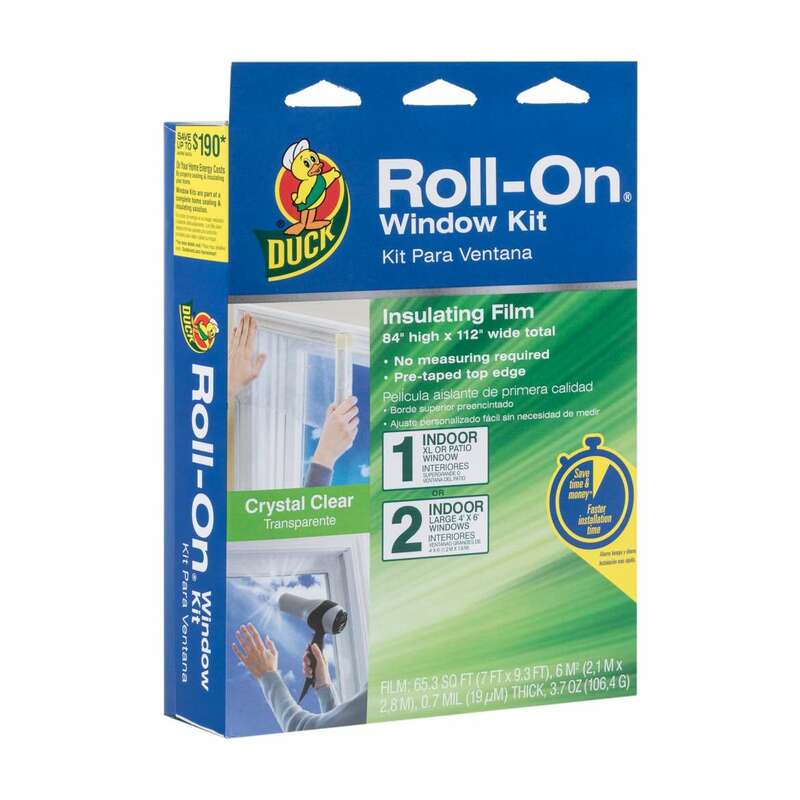 Home Products Weatherization Window Insulation Kits Duck® Brand Roll-On® Window Insulation Film Kit - Indoor, 84 in. x 112 in. 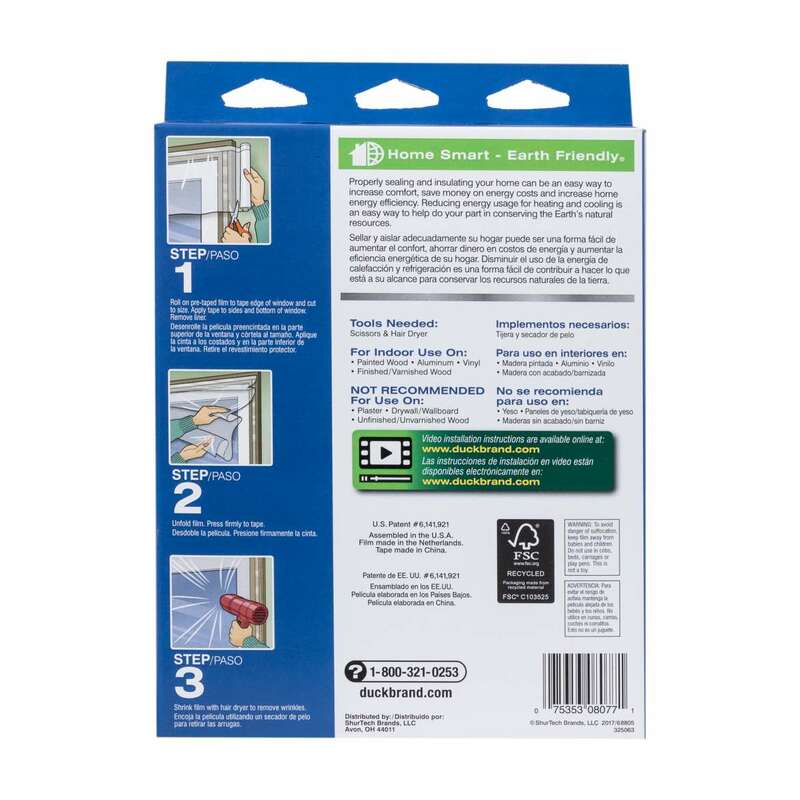 Duck® Brand Roll-On® Window Insulation Film Kit - Indoor, 84 in. x 112 in. 62 in. x 120 in. 62 in. x 200 in. 84 in. x 112 in. During the cold weather months, windows become a prime spot for energy loss. 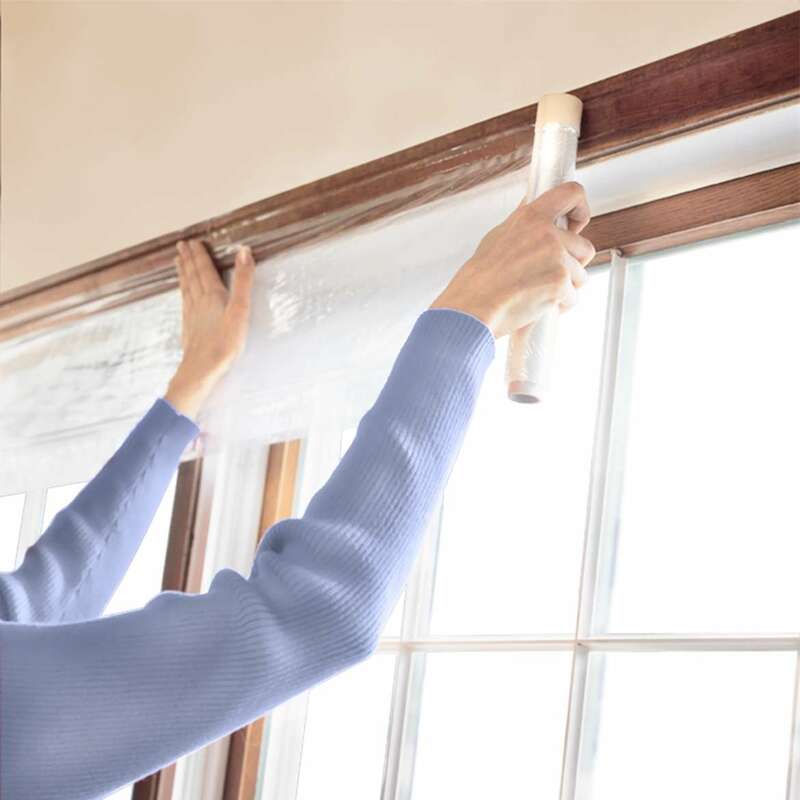 Indoor Duck® Brand Roll-On® Window Kits create an added barrier between the outdoor air and your home's inside, helping to block drafts and air leaks that lead to high heating costs. 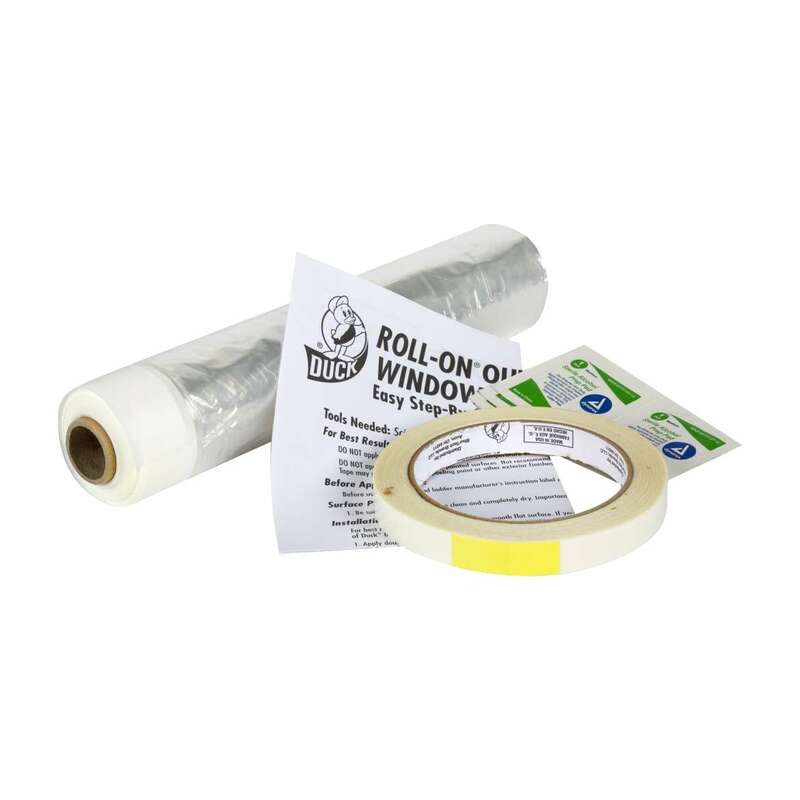 Patented Roll-On® film comes with a pre-taped edge for easy roll-on application, requires no measuring and fits snugly to indoor window frames to provide an airtight seal. Plus, they are made with clear shrink film for good visibility and are easy-to install and remove once the warmer weather arrives. 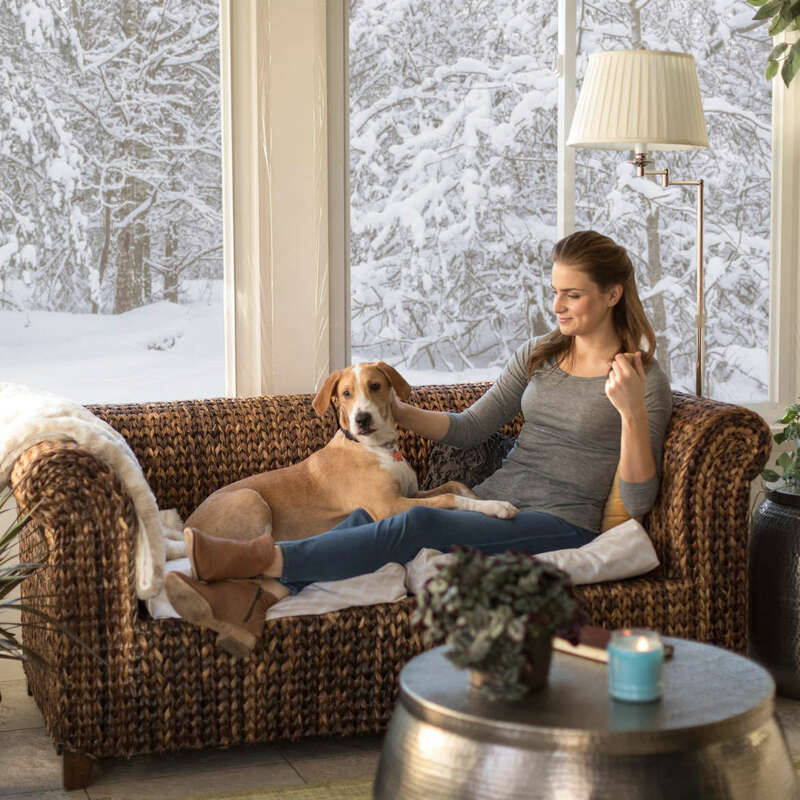 Use together with other Duck® Brand weatherization products to make your home more comfortable and energy efficient all year long.